If ever a movie was the victim of unfortunate timing, it was SpaceCamp (1986), a summer genre film released thirty years ago this June. 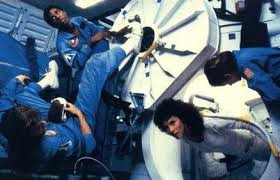 Specifically, the Harry Winer film premiered just five short months after the space shuttle Challenger disaster occurred. As you may recall, Challenger was destroyed 73 seconds into its flight on January 28, 1986 because of a problem with a solid rocket booster. All seven of the crew members died, including school teacher Christa McAuliffe. Since SpaceCamp involves another space shuttle mission, and another accident at NASA to boot (also featuring a booster, strangely enough…), the movie highlighted unintended and unfortunate connections to the national tragedy. The association with real-life horror pretty-much killed SpaceCamp in the crib. It was intended as a light, bubbly, uplifting film of no more seriousness or gravitas than any other disposable, would-be summer blockbuster. And suddenly, it was saddled with comparisons to one of the worst days of the decade, and in space program history. 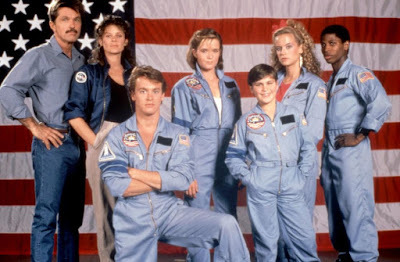 In concept and casting, SpaceCamp was a “teenager” movie in the age of such teenage science fiction films as Back to the Future (1985), My Science Project (1985), Explorers (1985) and Weird Science (1985). This was an era when Hollywood films were capitalizing on the youth market, and its interest in the genre. But SpaceCamp wasn’t just a love letter to American youth, but to the space program itself, and even -- somewhat awkwardly -- Star Wars (1977). 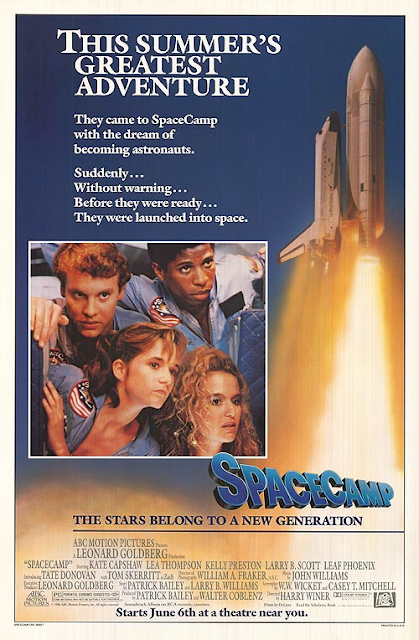 A box office bomb in its day, SpaceCamp is remembered, if not wholly beloved, by a generation of fans who discovered it on VHS and found it, at least, inoffensive. There, on the secondary market, the film cemented a reputation as a cult film, if not, necessarily, a cult classic. Today, SpaceCamp seems somewhat hokey and far-fetched. The constant references to Star Wars grow irritating quickly, and don’t naturally fit with the space program setting. The teen drama in SpaceCamp also seems forced at times, and even the technology seems unreal, since the film posits space stations and smart robots operating under NASA auspices in the mid-1980s. In short, SpaceCamp shouldn’t shoulder the blame because real-life tragedy pre-empted it. But outside its unfortunate context, the film still isn’t particularly well-made, or even all that memorable. A group of teens at NASA’s space camp in Huntsville train for three weeks to become astronauts, under the tutelage of astronaut Andie Bergstrom (Kate Capshaw) and ground control operator Zach Bergstrom (Tom Skerritt). One student, Kathryn (Lea Thompson) dreams of being a shuttle commander, but is made the shuttle pilot instead, while the happy-go-lucky Kevin (Tate Donovan) takes the command post. Other students on the team include Tish (Kelly Preston), Rudy (Larry B. Scott), and Max (Joaquin Phoenix). Max befriends a robot named Jinx. Jinx is responsible for the unusual set of circumstances which sees the teenagers, aboard the shuttle Atlantis, launched into space without preparation…or enough air. Now the teens must work together to get home, and Andie must coordinate and aid their efforts, making her first voyage into space to do so. I’ve been to the location of Space Camp -- the U.S. Space and Rocket Center in Huntsville, Alabama -- on two unforgettable occasions. I went as a twelve year-old in 1982, and I took my six year old son there for a return journey in 2012. It’s a great place, and a destination I was so glad I shared with Joel. I hope I have opportunity to return with my granddaughter or grandson, many years from now. I don’t know that I feel that way, exactly. Certainly, the story of argumentative teens launched into space and having to take part in their own survival can be described as compelling. My issue with the film is slightly different. SpaceCamp takes too many liberties with the real life space program to really fulfill its premise that contemporary (and dedicated) 1980s teens could pilot a space shuttle, and get home safely. In other words, the film suffers from a different form of schizophrenia than the one tagged by Variety. SpaceCamp aims to be contemporary and real, but then, willy-nilly, throws in technology and details that are, simply, pure fantasy. To wit, the teens rendezvous with a space station under construction that, conveniently, already has the extra oxygen supplies Atlantis requires. Here the space station is called Daedalus, but no such space station existed in the mid-1980s. A much more primitive station, Skylab had re-entered Earth’s atmosphere in 1979. And the ISS (International Space Station) was still more than a decade off. In fact, the only space station in Earth orbit in 1986 was the Russian Mir. 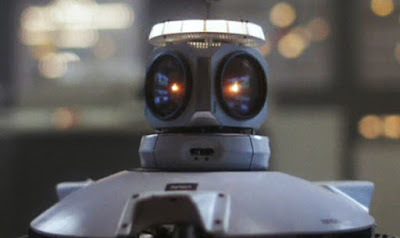 And secondly, and perhaps much more to its detriment, SpaceCamp gives us the comic-relief robot Jinx. Simply put, there was no robot capable of such complex thought-processes, speech-patterns, and emotional reactions (“Friends Forever!”) in 1986. And if there were, its presence at Space Camp would have been a gross misuse of such advanced technology. I know that Jinx is cute, and I have nothing at all against cute robots in SF films. He just seems oddly out-of-place in a film that is supposed to be about a real, not futuristic NASA. Also, I’ll admit that I dislike then near-constant Star Wars references in SpaceCamp. “What are you an Imperial Guard?” asks one camper. “I’m not Han Solo…there’s no Force…there’s no dark side,” Kevin notes at another point. “I’ll arm the laser guns. May the Force be with You!" . On and on it goes, but Star Wars isn’t really the right production to name-check in this particular context. All the talk of the George Lucas movie feels a little off. Why? Well, Star Wars isn’t really about training to be an astronaut, or learning to drive a spaceship. It isn’t, even, really, about a team of diverse people learning to work together. Indeed, one great thing about Star Wars was it took all those concepts for granted, and went off, lasers blazing, to tell a story in a “lived in” universe. That story had mythic underpinnings, and fairy tale qualities. It was a space fantasy, where there was no talk of how the hyper-drive, tractor beams or light sabers actually worked. 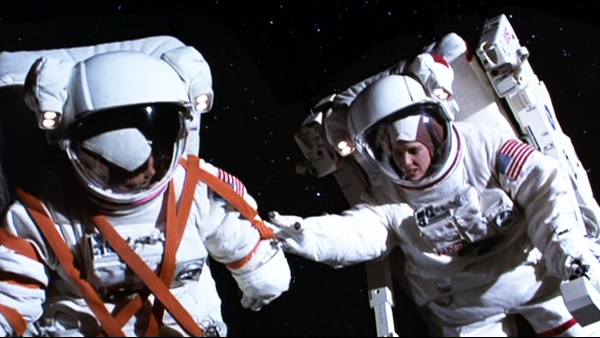 SpaceCamp seems to owe much more to the concept of Star Trek; to the idea of becoming the best that you can be so you can conquer space; to the idea that by working side-by-side with someone of different qualities, you can grow to become more than the sum of your parts. But, belying the film’s superficial writing, SpaceCamp loads up on the Star Wars call-outs, and they never quite feel right. I know a lot of people boast nostalgia for SpaceCamp, and I understand and respect that. I remember watching the film on VHS in the mid-1980s, and being absolutely in love with Lea Thompson, and enjoying the (then) state-of-the-art special effects in the movie. I am also in love with any movie that involves the space shuttle. I love that ship, and I love the films -- like Moonraker (1979), Hangar 18 (1980), and Lifeforce (1985) -- that feature it prominently. SpaceCamp might have felt more real, and more uplifting, actually, if it had made a bigger deal of such Cold War frissons, and the way that the conquest of space can bring all the people of Earth together as one. I am a fan of any movie that involves the space shuttle too. If the film had a better script, it would have been better received even after the Challenger January 1986. The premise of accidental NASA launch was also used in both JOSIE & THE PUSSYCATS IN OUTER SPACE and FAR OUT SPACE NUTS. Two things got me through SpaceCamp. One, Kate Capshaw. I was crushing on her after "The Temple of Doom" and her presence helps make this watchable. And the absolutely magnificent score by John Williams. The movie that John Williams scored, now THAT is the movie I want to see. His music sounds like it could be for some lost sequel to E.T or Close Encounters. Gotta agree with you. Light fluffy and entertaining, but not much more than that. John Williams brings a lot of majesty to the score and it helps the movie, but when you get right down to it, the movie just doesn't hold up too well. 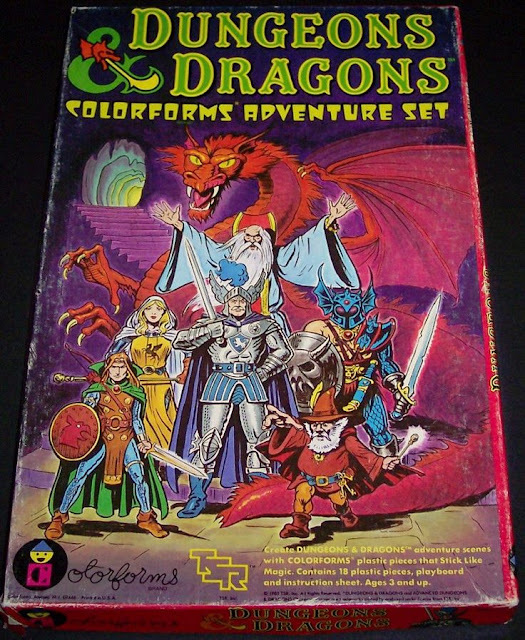 It was one of my wife's favorites when she was young and a revisit a few years ago turned out to be disappointing for her. Rewatching "Goonies" was more fun.